As the Spring semester ended and final exams came to a close, students across campus began packing up for the summer. 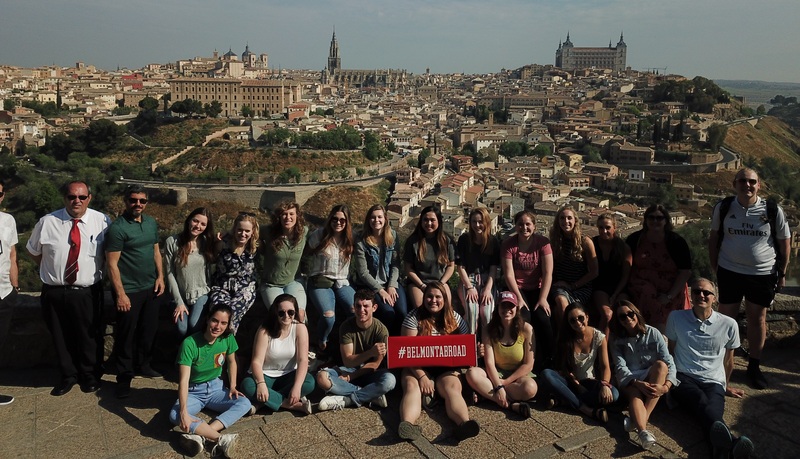 For 700 Belmont students, preparations to pack looked a bit different as they prepared to participate in one of 43 faculty-led Maymester and Summer Study Abroad experiences across the world. Traveling all across the globe to Argentina, Belfast, London, Israel, Jordan, Greece, Cambodia, Poland, Austria, Costa Rica, Florence, Rome, Portugal, Ireland, Scotland, Korea, South Africa, Germany, Haiti, India, Tanzania, Hawaii and more, these 43 programs provide students with the opportunity to expand the classroom beyond the traditional experience. Students are able to visit places they’ve never been, see historical sites and spend time experiencing new cultures. Thanks to the Office of Study Abroad and the dedication of more than 100 Belmont faculty who lead these programs, the catalog of study abroad programs offered to students continues to grow. This summer, new programs include studying acting and its origins in Belfast and London, examining the history and psychology of sport in Scotland, learning about conflict transformation and social justice at the George J. Mitchell Institute for Global Peace, Security and Justice at Queen’s University Belfast, Northern Ireland, understanding service learning through live sound in South Africa and Zambia, evaluating the role of song in the spread of the Gospel in Uganda and Zimbawe, actively participating in adventure tourism in Australia and studying the role of music in society through the eyes of this year’s Bonnaroo line-up, among many others. Throughout their time away, students and faculty will document their travels on social media. Follow #BelmontAbroad to see their frequent updates.